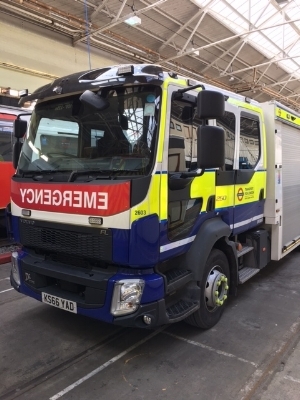 This is a unique opportunity for our members to visit London Underground's Emergency Response Unit at Acton. You will learn what's involved in responding to a rail emergency, get to see the equipment carried in the emergency response vehicles and, if you wish, take part in some basic training exercises. Real enthusiasts might even get the chance to crawl under one of the trains in the training area and experience what it really feels like to be part of a rescue team. Some PPE can be provided but priority will be given to members who can bring their own PPE – a high vis jacket, hard hat and suitable footwear. If you require PPE, can you please give details on the registration form. This event is now full. If you would like to add your name to the waiting list, please complete the form below. Do you have your own PPE as specified - high vis jacket. hard hat and safety boots? Thank you for registering your interest. We will get back to you if a place becomes available.